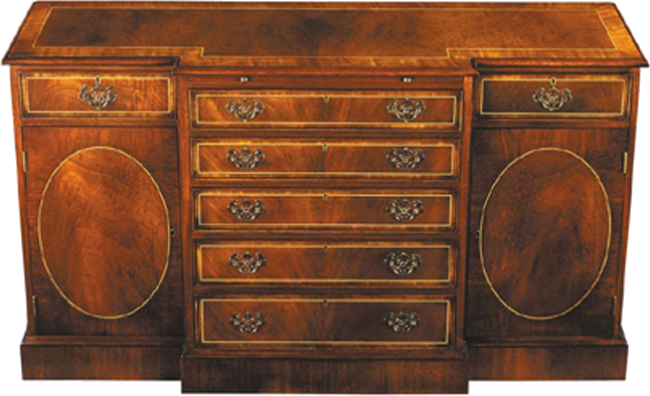 Sheraton style breakfronted cabinet with Satinwood crossbanding and highly figured Mahogany. The center section consists of five drawers and a pull out slide. The side sections consist of single drawers and cabinets below with adjustable shelves. Antiqued solid brass hardware. Plinth base. Pictured in Mahogany.